At our Volkswagen dealer near New Haven, we believe it’s extremely important to give back to the brave men and women who have dedicated their lives to protecting our country. As a huge thank you to our military service members and first responders, the Volkswagen brand offers our heroes a $500 bonus toward purchasing or leasing a new VW model. If you qualify, take advantage of this incredible offer today! Simply show proof of military or first responder eligibility, and you’ll be one step closer to hitting the New Haven streets in your dream new Volkswagen model. Eligible customers are allowed to receive up to two military and first responder bonuses each year. Are you ready to use your Volkswagen Military and First Responder Bonus? Make your way over to our VW dealer, and our sales team will gladly assist your search for a new vehicle. 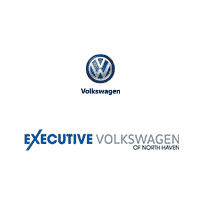 If you have any questions or would like more information, please don’t hesitate to contact Executive Volkswagen of North Haven at (855) 250-6818.